You may know the name, but do you really know what Result Clothing gets up to behind the scenes? 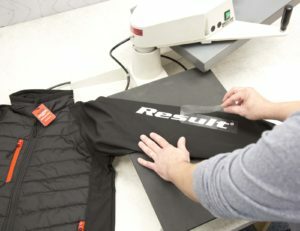 P&P editor Melanie Attlesey caught up with the team at Result Clothing to find out more about the company’s latest product launch and just what this means for garment decorators. 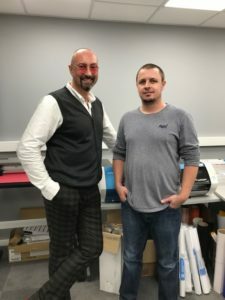 Brand ambassadors Myron Shafee and Gary Layzell are both keen to highlight that Result Clothing develops garment solutions with the sole aim of making garment decorators successful in their field. This is evident in the design, fit and appeal of its garments, along with the expert decoration advice that is also supplied in spades. Result Clothing was born out of the industry that it supplies clothing for. It has watched the industry evolve, taken note of the changes and responded to these, offering garment decorators choice. One of the more recent developments that the industry is experiencing is the rise of bespoke clothing. More and more end-users are looking for that extra level of personalisation or customisation to make their uniform unique. To tap into this, Result now offers garment decorators three levels of customisation within its ranges. Firstly, is the stock collection. Result holds huge levels of stock in its warehouses, which is sold through its trade distributor network. Secondly, Result offers a semi-bespoke offering and thirdly, Result now offers a complete custom made collection. In terms of semi-bespoke options, garment decorators can offer their customers the simplicity of a zip pull to add a sense of individualisation to a jacket or fleece. Earlier in the year Result launched the R093X Zip Pull, which is available in 13 colours. “This is a really simple and cost-effective way of personalising a garment. You haven’t got to commit to factory orders and you haven’t got to wait 16 weeks. The zips cost about 10p, but the end user sees huge value and this can add about £5 on to the cost of the decorated garment,” explains Gary. Also launched earlier in the year was the Black Compass softshell jacket (R237X) and gilet (R238X), which again offer a semi-bespoke option to garment decorators. 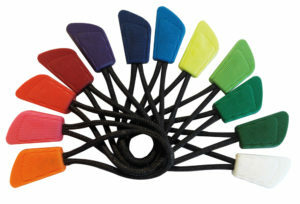 The Compass range comes only in black as the name suggests, but in five different colour trims so the end user can colour match to their own corporate colours. The sleeves on both garments are also made from Result’s very popular printable softshell fabric, providing flexibility of decoration. 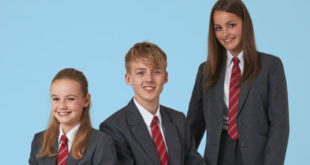 “With the development of this jacket we have relooked at the industry, taking into account the prevalent pressures which are always price point and flexibility of print. The garments are completely unbranded and provide colour options based on a classic style. “What a garment decorator can do is choose the colour that closest resembles their client’s branding, match the decoration on the sleeves to the contrast and by the time it reaches the end user it looks like the product was made for them,” Gary says. But what about complete customisation? Result now has this angle covered with the launch of its new custom made collection. “We have always had the opportunity to create bespoke garments for the end user at factory level, but it has never been a simple plug and play situation,” says Myron. Customers can now choose from many of Result’s ranges and pick and choose fabrics, sleeves, linings etc. to create their own custom made garment. As long as the design uses Result’s existing fabrics for those styles, the options are endless. “We are offering more versatility and different levels of customisation to garment decorators at a time when the industry is under pressure,” Myron says. The custom made range orders start at 500 and will work best when there are no time pressures. “If a garment decorator needs to react quickly, that’s when they need to start getting clever with our stock ranges and semi-bespoke offerings,” she adds. Developing these garment solutions for garment decorators means getting inside the head of garment decorators themselves. And Result does this very successfully through Gary and his colleague Mick Burley. 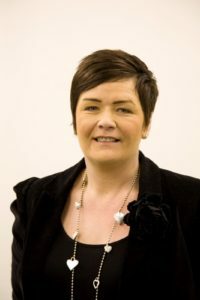 Gary owned his own print company for many years and has previously worked for an ink company as their national sales manager. Needless to say he knows his stuff when it comes to garment decorating. He uses his inside knowledge and relationships within the industry to aid Result Clothing in the development of their garments to make them decorator-friendly, and is always on hand to offer his expert advice to garment decorators should they need it. Gary joined Result four years ago and was heavily involved in the development of the Printable Softshell (R231M&F). At the time of its launch this was a ground-breaking product and it gave the traditional fleece buyer an alternative product to offer their customers, without a huge jump in price to other softshells out in market. Traditionally, softshells are very difficult to print. “We thought we would take it upon ourselves to offer garment decorators an option that was a little easier to work with,” explains Gary. This softshell contains no elastane, with the stretch coming from the way the polyester is weaved. The membrane was also removed to keep costs down. The end result was a simple blank canvas, but with all the traditional aspects of a softshell in terms of design, feel and shape. 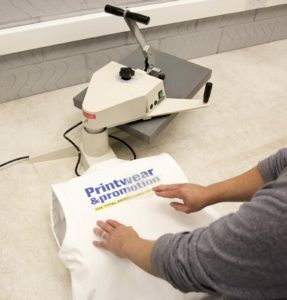 At the moment direct to garment printing on printable softshells is not recommended, but Gary and Mick, who also has a print background, are currently working with one of the UK’s biggest contract direct to garment printers in order to crack this last unobtainable method. The success of the printable softshell has seen the product move into safety wear with the launch of Result’s Safe-Guard hi-vis jacket and gilet versions (R451&2M&F), which fully comply with all EN safety standards. “While we have added the membrane back in to create a three-layer softshell, this jacket has the same flexibility of use, at great price point and is a high quality product,” adds Gary. These are by far the easiest to use. The RESULT Printable Softshell range is polyester so to avoid any dye migration, transfers that apply at 150°C or less are advisable, along with those with dye-blocking properties. This allows garment decorators to produce high volumes at low cost. Garment decorators must have an appropriate understanding of the right inks to use. Inks designed for the sportswear market with dye blocking agents will work well. Flash cure and dryer settings should always be tested and worked out before bulk production. This is not currently recommended, but testing is currently ongoing. Advancements in printing polyester are happening all the time.